How much do you make in travel nursing jobs? Worth it? 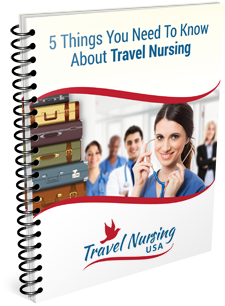 How much do you make on a travel nursing job? The answer to this is a combination of factors influence the rate you make. Just like any other job, your experience, your specialty and the region or city you want to travel to. Once you get past those factors, the supply and demand aspect figures in. As an example, if you have a facility desperate for ICU RNs and they are located in a city with high hourly rates already, then they are going to have to offer a high rate in order to get what they want. On the other hand, if the assignment is in a location that has lower prevailing wages locally, the travel nurse job is going to pay less. Keep in mind, though, that you will normally have a lower cost of living in an area like this. This week one of our partner agencies posted 26 new travel nursing jobs. They were located all over the U.S, The hourly rates quoted ranged from a low of $44.oo an hour to a high of $60.00 an hour. Obviously this is a small sample but at least it gives you an idea. And remember, that is just the tip of the iceberg. There are many bonuses and the benefits almost always include your housing paid for. Well only you can make that judgement. You need to be an adventurous sort, flexible and people oriented.You need to be flexible and the type that gets along with co-workers. The assignment has to be someplace you are interested in living, at least for a few months. Remember. YOU are in charge, not the recruiter. YOU are the valuable commodity they are all trying to find ro fill the travel nursing jobs assigned to the agency. Use that to your advantage. Shop around and do not compromise! If you would like very specific information on travel nursing jobs salaries please go here. I have been working as a travel nurse with the VA Travel nurse Corps here in Dallas since Mid January. It’s hard work-let’s face it, if a place needs a travel nurse, they have issues…but my wife and I have really been enjoying our first travel nurse assisgnment. Peggy, your facility MAY have travel nurses on board, but they are technically employees of their agencies. Agencies cannot take on the facility’s full-time nurses as part of their own travel staff unless you are wanting to go to a different location. Otherwise, everyone would do that! 🙂 Plus, the facility probably only has 13 or 26 week contracts I’m guessing, so you’d have to be open to going to a different locations. There are so many benefits of becoming a travel nurse, it would be worth it to ask yourself what you’re really looking for. Is it higher pay? Is it the opportunity to travel? Are you ready for a new adventure? Hope this helps! No you won’t have the benefits. This is a intermittent position. It does not even counts toward your time in the federal system. I was wondering if the VA has LPN traveling assignments. Conrad, you may want to clarify what the “hourly rate” is that you are referring to. are you referring to the all inclusive pay rate to the nurses or are you referring to the bill rates to the hospitals? For example the “$60/hr” pay quote… assuming it is the hourly pay to the nurses, after you figure in approx. 15% mark up for the agencies to cover taxes and benefits accrued, that would mean the bill rate to the facility would have to be $70 minimum just to cover the cost to the agency. Assuming most agencies do not work for free, the bill rate then would have to be $80+. After 13 years in this industry I can count on one hand how many $80/hour bill rates I have seen. I think your numbers need either validation or clarification, otherwise you are painting an extremely unrealistic numbers for the nurses reading this blog. My two cents. Reggie. Thanks for your input. To be honest, I took these numbers off of the job postings order from a major agency. They list a range for the hourly rate. Again, I am just quoting what they are publishing but on this particular list the lowest range was $45-49 for a job in Illinois and the highest was $66-70 for a job in Washington. A large number of the jobs seem to be in the $47-54 range. Be certain you check with a tax professional ahead. I did travel for three months to various locations around the USA and had to pay state tax in my and the other states and by the time the tax service handled all of it, I owed a LOT of tax money! The service also charged me $100 per state to do the paperwork! As I always like to say, I am not an accountant. I would give you this advice though. Use a CPA, not an inexpensive tax preparer. In most state taxation situations there are “credits” you get so you don’t pay taxes on the same income more than once. There are people who specialize in taxaes for travel nurses. I will try to get one of them to sit for an interview and throw it up on the blog. thanks for your comment and anyone who knows more about this than me go ahead and chime in.